We noticed a big gap in the painting industry relating to price and customer experience.. so we decided to become the best service provider at an amazing, affordable price! We’ve been painting and learning the tricks of the trade since we were 15 and now have a strong team of 3 qualified crews tackling both commercial and residential painting projects across the lower mainland. 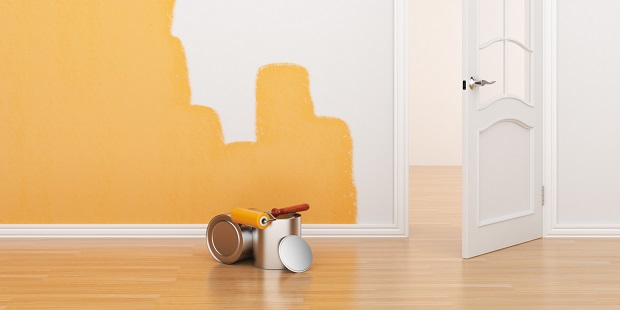 Top 3 Things To Consider when Hiring a Painting Contractor! You’re home is your most valuable asset. It takes great people to do great work and care for your home. The following are 3 of the most important things to look for in a Painting Contractor. Although many contractors you may hire from craigslist or other similar sites are very affordable they usually tend to not have the proper insurance in place or have none to begin with. Now, you may think this isn’t that important but one simple accident could cost you your home entirely. Here in B.C. it is mandatory for every employer to have WCB coverage whenever working on a home- you can find all the info on the Worksafe BC website . This coverage covers the homeowner on any injuries the “worker” may incur while working on their home, which is very important, especially if they are working on ladders (painting requires lots of ladder work!). WCB is not the only thing that you should look out for. Liability insurance is just as important! This was specially the case this April (2019) in Texas when two painters were doing an interior paint job and burned down a 1.7 million dollar home. While using a lacquer product, a small spark triggered an explosion which destroyed a 6,000-square-foot home with everything inside. Luckily everyone survived but… poor homeowners! Painting isn’t rocket science but you do need to know the core principles to perform a good paint job. For example, surface preparation such as ,a proper cleaning and removal of any failing paint, is a crucial step in the paint job. Also, applying the product in the right conditions plays a large role in paint adhesion. Without this knowledge, a good-looking paint job could soon turn into a disaster within months. Unfortunately, looking over your painter’s shoulders every minute of the job is not ideal - This is why hiring a company who offers a warranty will give you peace-of-mind. If a paint job is done properly it should easily last 5+ years depending on the product and weather conditions in your area. However, if it’s not done the right way, you will see paint failure within months. This is why any warranty above a year is ideal and would cover any unforeseeable paint failures. Now this may not seem as important as the first two, but too many, it is an unpleasant surprise! We couldn’t tell you the amount of times we’ve heard the story of someone finding the “perfect contractor” with the proper insurance in place and at a great price but then get to the end of the job finding the “complete job” wasn’t even close to being what they expected in the first place. Miscommunication, unfortunately, happens ALL the time. This is why setting a proper and detailed contract in place is key before committing to a project that is worth thousands of dollars! A proper estimate should be very descriptive and show the full scope of work that is to be performed for the project. Costs should be broken down by item and it should discuss whether the price would ever change due to special circumstances. Not only should it describe the project items but also the procedures, so that you as a homeowner know what you are paying for. How do we fit in to this mix? All of our employees are fully trained in a “school” style program. This means we not only teach our staff the “hands-on” techniques but also, the core principles, the theories behind paint application and procedures. Our staff are also covered by WCB and we carry a $2 million Liability Insurance Policy. Also, for your peace-of-mind, we always offer a 2 year warranty on all of our paint jobs. Not only are we qualified for the job but we also offer the most in depth and detailed estimates so that everyone is on the same page. Give us a call today and book online for your FREE CONSULTATION.